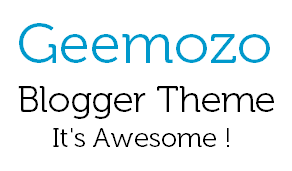 Last time I had released BloggerHero Ultra Premium Blogger Template for FREE. I hope you would have liked it, also I had released Favela Blogger Theme which was simply superb. Today I'm releasing the same version of Favela but with more additons and in stylish manner. The theme is ultra responsive and contains inbuilt widgets. I have added a smooth, cristal social sharing widget to this template which you will definitly like, the read more button is simple premium, there are navigation buttons beside header, the header font is also awesome. I have added social profile widget, same comment system used in Favela Blogger Template and the stylish footer widgets. By me it's almost like a perfect template, I don't think there is a need of telling its features, why don't you see them yourself, lets check the live demo. How was the live demo? If you liked this template you can try it for your blog. Download it and just install as we normally do. It has the same features as Favela but this template is different from it. I hope you would like this template. To make changes in inbuilt respective widgets you need top find the proper subjects like Feedburner username, Google+ profile id in the HTML source. If you didn't get it just contact me. I will soon write an article about this changes. I understand your hard work in making thos awesome template. How to make blogger commenting system dofollow? Ahmed Raahim Niazi : I have added the file again.